HandyQuick was founded to answer that question. Supporting some of the TOP property management companies in the industry, our on-call team of highly qualified plumbers, electricians, carpenters, painters and remodelers is ready to serve you with all aspects of home repair, remodeling, maintenance and more. We’re always ready to help you with a wide range of projects around your home or rental property. Whether it is through one of our trained employees or one of our partner subcontractors, you always know that we will place the right technician on the job from the start, giving you one-call confidence that your project will get done quickly, and correctly the first time. Easy Scheduling – We’ll schedule your work to be done to match your own busy life. Our team of handymen is ready when you are. When you need our services, we’re here to help. We coordinate multiple contractors so you don’t have to. One Call Does It All! Prompt Service – Our electricians, plumbers, carpenters, painters and other trade specialists will arrive at your property on time, ready to get started. We know that you don’t have time for delays or disruptions that leave work undone. Reasonable Prices – Since we support many TOP property management companies already, you will benefit from VOLUME DISCOUNTS on ALL of your home maintenance and renovation needs! After assessing the work you need to have done, we’ll provide you with an accurate price estimate, with no hidden fees or extra costs. Our affordable rates let you pay for only the services you receive. Priced Right, Done Right! Expert Craftsmen – Every HandyQuick handyman has long experience and knowledge of his trade, and will give you the top quality results you demand. Talented and creative, our team gives you results that enhance your home. Courtesy & Respect – Our professional craftsmen respect you and your home, and will treat you like a member of their family and your home like their own. Our reputation is always on the line, so customer service is our top priority. Efficient Work – We’ll get right to work on your project and get your job done quickly, neatly, and professionally. We won’t waste your time or money with slow performance and long breaks in our work. Satisfaction – We’re not satisfied until you are satisfied. Every project will be done to your satisfaction. That’s our promise to you. Quality matters, and only high quality work meets our exacting standards. Neatness – Some repair and maintenance projects can create a bit of a mess, but our handymen will clean up thoroughly, leaving your home spick and span, with all construction debris removed completely. Unlike some handyman services that have only one person doing all of the work, our local handyman company, headquartered in Woodbury, MN, has a full-service network of handymen, contractors, including plumbers, electricians, carpenters, painters and trade specialists, ready to handle ANY job. 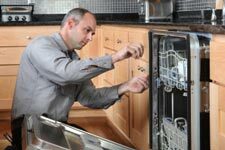 Throughout the Minneapolis St. Paul metro area, we can rush a fully qualified handyman or technician to handle repairs, construction or maintenance of any part of your home, including plumbing, electrical, heating and air conditioning, appliances and more. We can also paint, build, repair, and remodel any part of your home, inside and out. At our premier handyman service, we can even handle your snow and ice removal needs, rearrange your home, or clean up anything in or out of your home. One call gives you access to the entire range of home-related services. Check our website for details and learn why more and more homeowners, landlords, property managers, and realtors rely on us to handle whatever needs to be done. Take a look around your home and make a note of all the projects, repairs, and maintenance you’ve been putting off. Imagine all of those tasks completed perfectly by professionals and at a price that won’t break your budget. Don’t put off those chores. Just call our full-service handyman company and put our experienced craftsmen to work for you. Before you know it, all that work will be done, and you’ll take new pride in your beautiful home. We’re available, too, for emergency repairs and services. There’s only one number you need to handle it all. Just give us a call! Our one-call services are used by some of the TOP residential property management companies in the Twin Cities. We provide fast affordable services, and properly assign and coordinate the right vendor for every job.